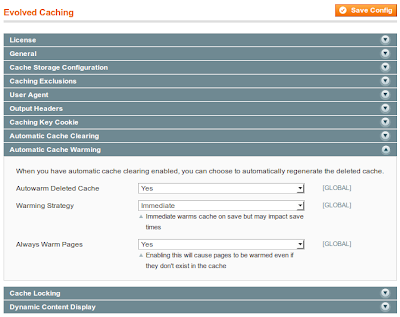 Recently released version 1.6.0 of our flagship Magento extension, full page caching solution Evolved Caching, again adds some major new additions to the extension. 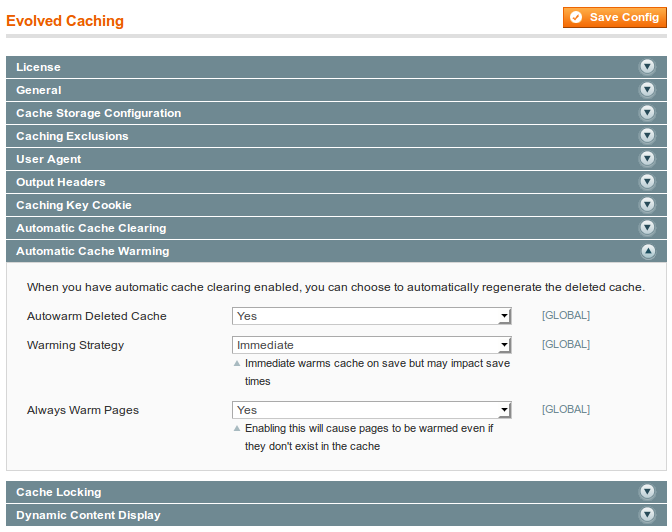 Version 1.5.0 added the ability to view cached page from admin, a choice of cache warming strategy and the ability to lock the cache to reduce the chance of accidental deletion. Version 1.6.0 adds some important, behind the scenes maintenance features such as automatic cleaning up of user specific cached files, and two new admin options to firstly give you the option of using either AJAX, or non AJAX based dynamic content updating, and secondly add the ability to cache product, category and cms pages on save regardless of whether content already exists in the cache. The option to warm pages even if they do not already exist in the cache means that cached content can immediately be created for instance when adding a new product, category or cms page. 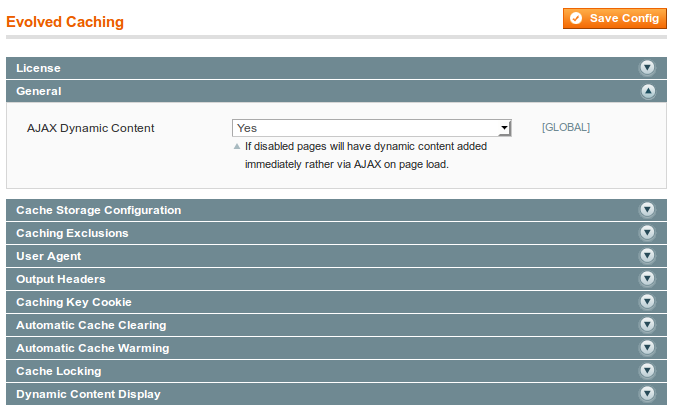 The Always Warm Pages admin option adds this functionality.